Disability and Good Conduct | Bruno V. Gioffre Jr. Unlike other states, New York State has no criminal expungement provision whereby a criminal conviction can be erased from a person’s criminal history. 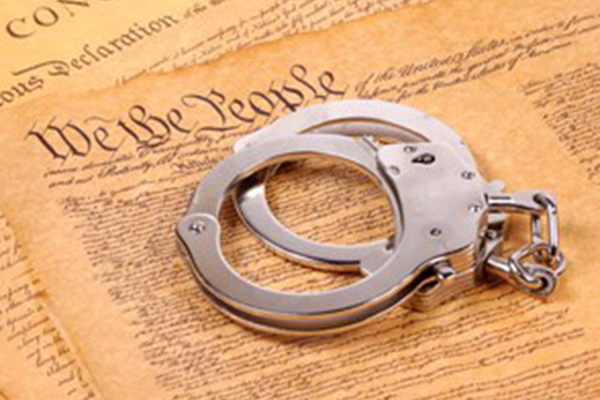 In NY, all convictions whether felony, misdemeanor, or infraction are permanently recorded on your criminal history. However, under NY Correction Law, a person convicted of felonies and misdemeanors can apply for a certificate of relief from disability or a certificate of good conduct. Laws governing certificates of relief from disability and certificates of good conduct were enacted to reduce the automatic rejection and community isolation that often accompany conviction of crimes and contribute to the complete rehabilitation of the first time offender and their successful return to responsible lives in the community. In fact, it is the public policy of New York State to encourage the licensure and employment of persons previously convicted of one or more criminal offense. Regarding a public agency or private employer, a certificate creates the presumption of rehabilitation in regard to the offense or offenses. Obtaining a certificate is consistent with the general purpose of the penal law, which promotes the concept of reentry and reintegration into society. Under NY Corrections Law § 700, an applicant is eligible for a certificate of relief from disability if the applicant has been convicted of a crime or an offense, but has not been convicted of more than one felony. However, two or more convictions stemming out of one incident is considered one conviction. Under New York Correction Law § 701 a certificate relieves an eligible offender of any forfeiture or disability, and removes bars to employment. A certificate of relief from disabilities prevents the automatic forfeiture of licenses, employment and franchise, including the right to vote, or any other automatic forfeiture of any other right or privilege held by the offender. If you have been convicted of a felony and want to obtain a gun permit or have it reinstated, a certificate will be mandatory before you can obtain such gun permit in New York. Further, a certificate cannot overcome automatic forfeitures resulting from convictions for violations of the NYS Public Health Law § 2806 or NY VTL § 1193(2)(b). These sections relate to a non-medical doctor owning a health care clinic and suspension of a NY State driver’s license. A certificate also does not void the conviction as if it were a pardon. In addition to the minimum period, the board must be satisfied that the applicant has conducted himself during that time in a manner consistent with the rehabilitation of himself and satisfying the needs of public safety. Similar to a NY Certificate of Relief from Disability, a Certificate of Good Conduct removes all legal bars or disabilities or can remove specific bars and disabilities. In addition, a Certificate of Good Conduct restores the right of an individual to apply for public office. The granting of a NY Certificate of Relief from Disability or a Certificate of Good Conduct is not an expungement of the conviction. Nor is it a pardon. This means that a person who obtains such relief cannot deny the conviction on an application. The only way to have your NY criminal conviction removed from your record would be to obtain a pardon from the Governor. N.Y. Executive Law § 15 grants the Governor the ability to grant reprieves, commutations and pardons. Under New York Executive Law § 19, upon the granting of a pardon, such setting aside of a judgment of conviction against a defendant shall place the defendant in the same position as if the case had been dismissed at the conclusion of the trial by the court because of the failure to establish the defendant’s guilt beyond a reasonable doubt. In addition to a full pardon, the governor has the power to commute a sentence, which lets a criminal conviction stand while releasing an inmate from prison. The governor can also offer executive clemency, expunging an offense from a record. The power to pardon is there to ensure that everyone is treated fairly under the law. If you have been convicted of a crime in NY and want to expunge it to the greatest degree possible, contact attorney Bruno Gioffre Jr. He can make the right application in your situation, whether it is an application for Certificate of Relief from Disability, Certificate of Good Conduct, or an application for a pardon to the New York Governor.